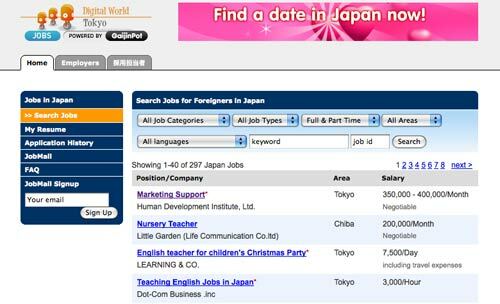 Unlike some minor-league job sites, Jobfinder Japan actually has hundreds of new jobs updated in real-time, so you know registering isn’t just a waste of a perfectly good password. Our partners at GPlus Media have been doing this for years, which is why you can trust them with your resume and reputation – only solid, pre-vetted employers get a shot at your time. On the flip-side, if you’re a company looking for staff in Japan, then we’ve got the biggest network of applicants at our fingertips and ready to interview. Whichever side of the fence you’re on – employer or jobseeker – go browse the site now, maybe sign up (did we mention it’s free?) and get that new job. You know you want to.